Drum funnel with brass screen. 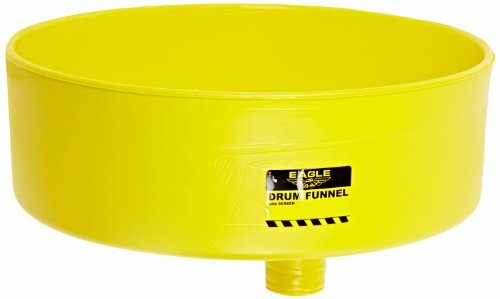 18" Wide drum funnel fits both 55 and 30 gallon drums. 6" High side walls reduce spashing and spout fits any 2" NPT bung. Compliance: EPA 40 CFR 265.173. Measures 18" diameter by 7" height.